Caldera offers superior pool and spa water filtration products. Caldera offers superior pool and spa water filtration products. Pool and spa filters compatible to this brand, along with many others, are available for our customers through the Filters Fast website. 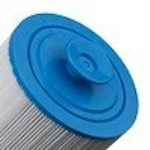 The Filbur FC-3963 Pool and Spa Filter replaces the Unicel C-7350, Pleatco PCD50N and OEM part no. 1019401 It is also known as the Caldera 50, FC3963, PCD50-N and C7350. 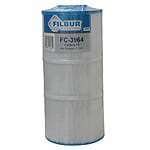 The Filbur FC-3965 is a compatible replacement spa filter for the Caldera 100 spa filter and many others (see list below). 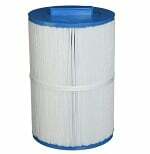 This compatible filter replacement will fit all spas, jacuzzis, and hot tubs which use the Caldera 100 Spa Filter. 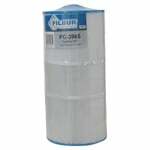 The Filbur FC-3085 is a compatible replacement spa filter cartridge for the Caldera 75 Spa Filter. This Caldera compatible filter replacement will fit all spas, jacuzzis, hot tubs, and pools which use a Caldera 75 filter. 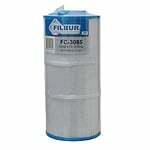 The Filbur FC-3084 is a compatible replacement spa filter cartridge for the Caldera 50 Spa Filter. This Caldera compatible filter replacement will fit all spas, jacuzzis, hot tubs, and pools which use a Caldera 50 filter.